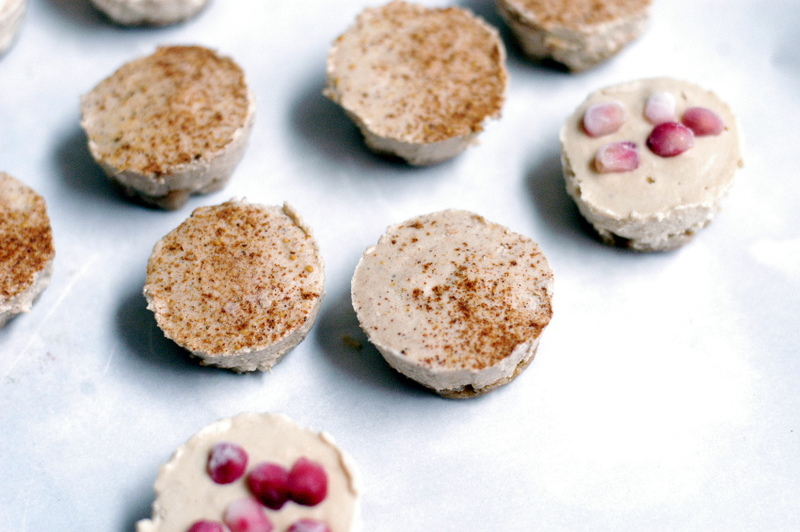 I’m a huge fan of cheesecake (the actual, regular kind), but I’d always been curious about vegan cheesecake. I made these little bites for a party, so not only was it a nice, guilt-free item among the less healthy options, but it was something that my friend with a gluten allergy could enjoy as well. As you can see, I also made a pan without the gingerbread spices, but topped with pomegranate arils. For the past three years’ worth of Mondays, we’ve taken turns posting a menu item that’s meat-free, and this week Meatless Monday recognized our efforts, adding So Hungry I Could Blog to its list of Bloggers on Board. We couldn’t be more thrilled! 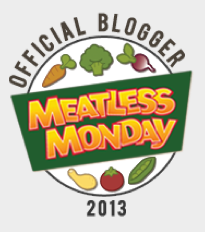 There are more than 130 blogs officially linked up to Meatless Monday at last count. 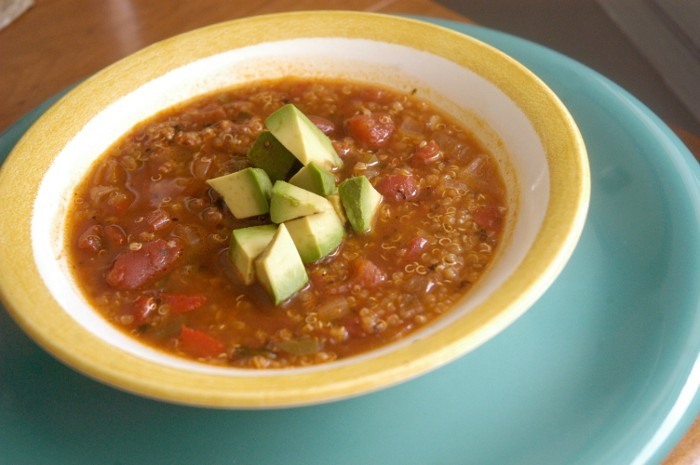 Affiliated Meatless Monday blogs provide a staggering number of meat-free recipes options. We make up a strong network of resources for people who choose to skip meat on Mondays and other days. Explore the other blogs here. So! On this eve of Thanksgiving, we’re thankful to be MM official. Going forward, we’ll keep sharing our favorite meatless recipes on Mondays, and we hope you’ll keep trying them. Thanks for sharing in our excitement, and Happy Thanksgiving! 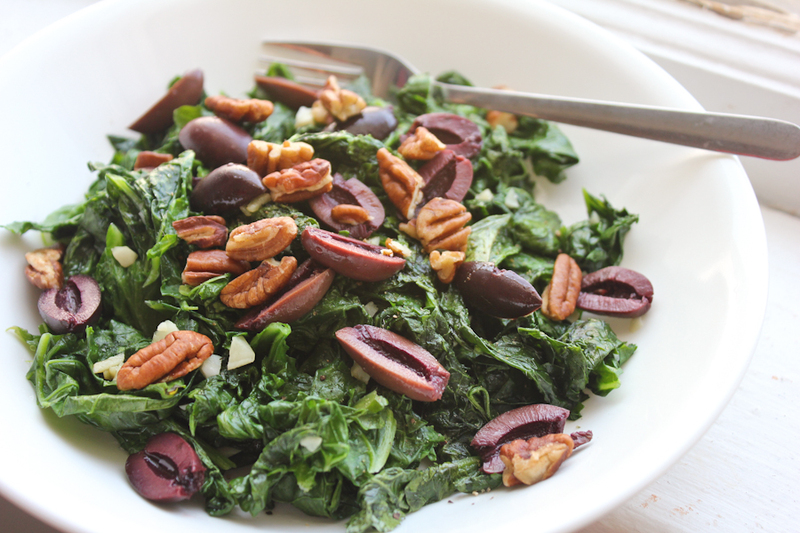 To make a light lunch of this, plan on using 1/4 pound per serving. As a side, use 1/4 pound for two people. In a large pan or wok, warm the olive oil over medium heat. When the oil runs freely on the pan, add the garlic. Cook about 30 seconds. Add the kale, and use a wooden spoon to gently toss it until it cooks down, about 5 minutes. Season with salt and pepper. Add the pecans and olives. Serve immediately. I made the full recipe so Bill and I could eat it throughout the week. I noticed him break some tortilla chips in it one day, so I assume that’s a good upgrade if you’re looking for one. This is a vegan recipe, FYI. Heat a dutch oven or heavy, large pot over medium heat. Add enough olive oil just to cover the bottom and, once heated, add the onions. Cook the onions, stirring occasionally, until they have caramelized. Every once in awhile you may have to de-glaze the pan (keep the onions from sticking) by adding a little of the vegetable broth. While the onions are cooking, combine the quinoa and 2 cups of water in a sauce pan. Bring to a boil over medium-high heat. Reduce heat, cover and simmer for about 30 minutes or until all water is absorbed. Remove from heat and set aside. Add the remaining vegetable both to the dutch oven, along with the tomatoes, garlic, jalapeno, poblano, red bell pepper, chili powder, coriander, cumin, bay leaves, cinnamon and chipotle sauce. Bring everything to a boil (you may need to put the lid on for this, that’s a lot of liquid to get boiling). Reduce the heat and let the soup simmer for about 25 minutes, uncovered and stirring occasionally. Remove the bay leaves and add the cooked quinoa. Mix well and serve, topped with the cubed avocado. You might be thinking, “Holy cow, that’s a lot of cilantro. I’m not sure I like cilantro *that* much.” Stop right there! Don’t worry! Only a fraction of the green you see is actually cilantro. Most of it is finely chopped spinach. Sneaky, huh? Add the spinach to a food processor and pulse 3-5 times. Remove the spinach from the food processor and add to a large bowl along with the chickpeas and onion. Toss together to combine, and set aside. To the food processor add the lime juice, cilantro, sugar, mustard, garlic and cayenne. Process this for a few seconds. Add the olive oil in a stream, and process until it comes together, about 30 seconds. Add salt and pepper to taste. Pour the dressing over the chickpea mixture and stir to combine. 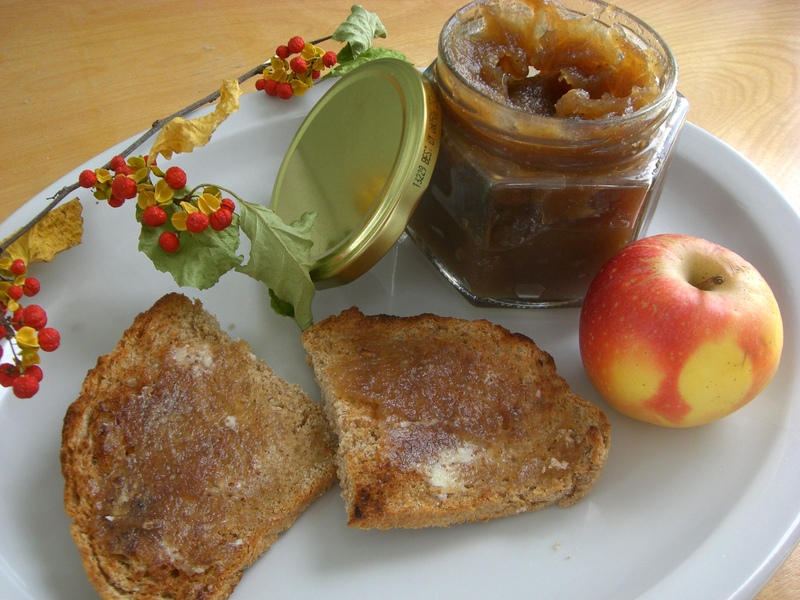 Serve immediately, or store in a sealed container in the fridge for up to 2 days. 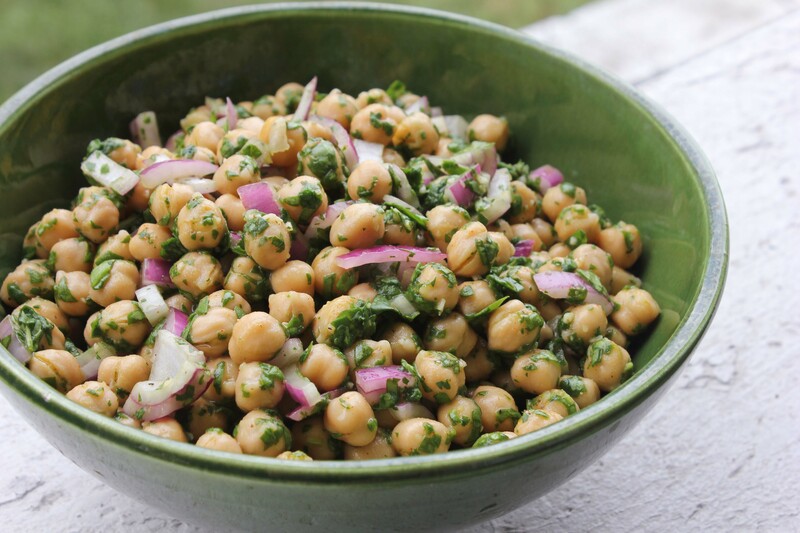 See more chickpea salad recipes here. I never know what to do with the stalks of the broccoli. This recipe is a nice solution. 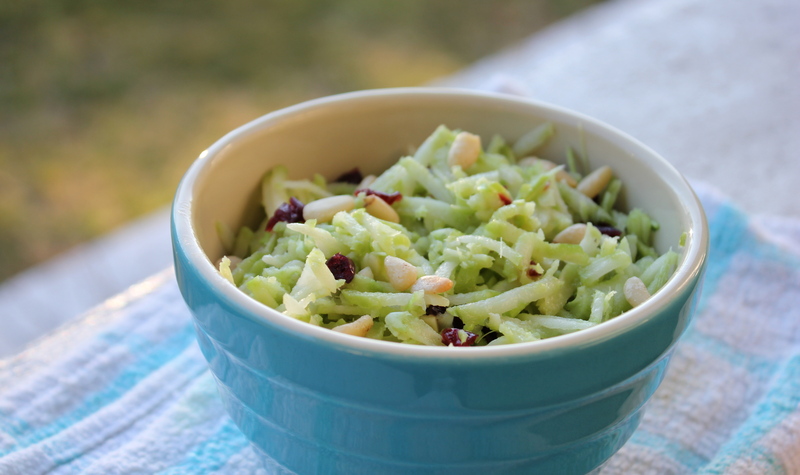 I've tried broccoli slaws made with broccoli from the bag, and that's one way to do this salad. But I like how fresh the slaw tastes when you chop the broccoli right at the beginning. Use a vegetable peeler to remove the outer layer on the broccoli stalks. Use a food processor or a wide-hole grater to grate the broccoli, and transfer the broccoli to a medium bowl. Add the onion. Set aside. In a small bowl, whisk together the vinegar, Dijon mustard, honey, lime juice, olive oil and garlic. Season to taste with salt and pepper. Pour the vinaigrette over the broccoli mixture. Sprinkle the pine nuts and dried cranberries over top. Toss to combine. Serve chilled or at room temperature. Makes 2 side dish servings. It pays to keep glass jars from store-bought dips. The amount of apple butter I made fit perfectly in one. Quarter apples without peeling or coring (I used Gala apples). Place apples in a large pot with water and vinegar, cover Bring to a boil, reduce heat to simmer and cook until apples are soft, about 20 minutes. Remove from heat. Most recipes call for a chinois sieve or food mill, but I merely peeled the softened apples (skin comes right off) and removed the cores/seeds then puréed until smooth in a blender. For each cup of soft apples, add about 1/2 cup of sugar. I halved the recipe and only used about one cup of sugar. It helps to taste as you go. Gala apples are already pretty sweet, but for a more bitter apple you may need more sugar. Add spices at this point as well. Cook, uncovered, in a large, wide, thick-bottomed pot on medium-low heat, stirring constantly to prevent burning. Scrape the bottom of the pot while you stir to make sure a crust is not forming at the bottom. Cook until thick and smooth (about 1 to 2 hours). A small bit spooned onto a chilled (in the freezer) plate will be thick, not runny. You can also cook the purée on low heat, stirring only occasionally, but this will take much longer as stirring encourages evaporation. Note: The wider the pan the better, as there is more surface for evaporation. Store in a well-sealed container and refrigerate. Makes about 26 ounces of apple butter. Since I halved the recipe, it fit perfectly into a 13-ounce glass jar.